Northern Golf Design, formerly Graham Cooke & Associates, is a top-ranked golf course architectural firm led by one of Canada's most successful & renowned golf course architects, Graham Cooke. Blomidon offers golfers panoramic vistas of the city, as well as views of the surrounding Blomidon Mountains and the beautiful Bay of Islands in Newfoundland. Black Mountain is an 18-hole, championship course. 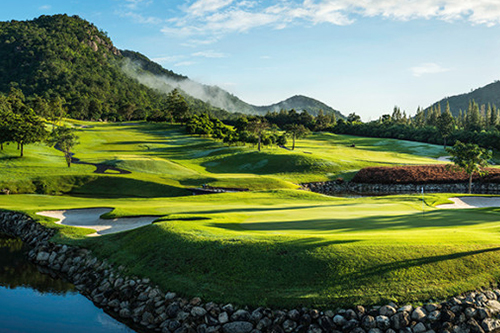 The natural mountainside topography creates breathtaking elevation changes, & greens. At this legendary Torino, Italy course, there are no roads or buildings, or any obstacles to playing golf, except for unspoilt natural surroundings. Copyright © 2019. Northern Golf Design. All Rights Reserved.